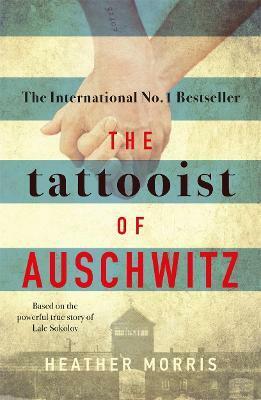 Jenny Valentish (journalist) chooses The Tattooist of Auschwitz as one of her reads of 2018 * The Guardian * What an extraordinary and important book this is. We need as many memories of the Holocaust as we can retain, and this is a moving and ultimately uplifting story of love, loyalties and friendship amidst the horrors of war. I'm so glad Lale and Gita were eventually able to live long and happy lives together, and thankful that Heather Morris was moved to record their incredible story. It's a triumph * Jill Mansell * Extraordinary - moving, confronting and uplifting . . . a story about the extremes of human behaviour: calculated brutality alongside impulsive and selfless acts of love. I recommend it unreservedly' * Graeme Simsion, author of The Rosie Project * Based on the true story of Lale Sokolov, who is forced to tattoo numbers on his fellow concentration camp detainees' arms. * The Bookseller * Nothing that I could possibly write here would be eloquent enough to convey to you how powerful and moving this book was. I could go on for pages telling you how well this is written, nothing is overdramatized...she just tell this tale that is at its bare bones a love story. I cried entire buckets of tears. Finally I will use the words of Lale "If you wake up in the morning, it is a good day" that it is. That it is * Netgalley Reviewer * What I loved so much about this book is that it actually made me stop and think; each and every one of those people, regardless of their number or rank within the system or whether they survived or didn't, had their own story. A quite unexpected story in fact of love, despite the odds, within the concentration camps. What's so beautiful about this book is not actually that it's true. Because it is both too beautiful and too ugly to really "enjoy" reading such an honest first hand account. What struck me the most was how quickly relationships, and very strong friendships almost akin to family, develop when times are so terrible. A hard-hitting, important book with love at it's core. A brave story shared with an author who delivers it perfectly for one man, and his love affair, who would not be defeated * Netgalley Reviewer * I don't like reading war time books because they get too depressing or too political. But this one was so different, it gave you hope, that even in the darkest of times if your willpower and faith is strong you can come out successful * Book Ninja * It is one of the rarer stories of the Holocaust, that dares to feature romance in such a place of misery, hopelessness and the dearth of birdsong. Love happened, and the unlikely, nay downright impossible, happened, and this heartfelt book is a very enjoyable presentation of that. * The Bookbag * A beautifully written harrowing story of one man's will to survive in Auschwitz...it is a story of hope and endurance and a beauty that emerges when all around is painted in black. As a reader you cannot help but be affected by this account the simplicity of the story telling only adds to the poignancy... * Library Thing * This is an outstanding read...An extremely powerful and absorbing read that had me in tears at the most surprising moments and it will be making an appearance in my Top Ten of 2017. It is due to be published in January 2018 and I hand on heart urge everyone to read it. * Batty About Books * Though very hard to read in places, this story is full of hope, love, courage and kindness. It made me cry a lot, but in places it also made me smile, as it shows humanity at its best in the worst of times. Lale had nothing but positivity and determination and, along with Gita and many of the other prisoners, is one of the bravest people you will ever read about. This review doesn't come close to doing The Tattooist of Auschwitz justice. It's such a heartbreaking, beautiful story and one I'm so glad Lale got to tell * Foreword Books * The Tattooist of Auschwitz is a very moving book, showing the survival of humanity in a brutal place. I love this story * The Reading Life * Lale Sokolov's story not only moving and heart-breaking, but also humbling and inspiring hope. I was so totally blown away by this book that I am really struggling to find words for the emotions it evoked in me. In her writing, Morris manages to convey the spirit of a young man trying to survive, but also hold on to his humanity the best he can. It was heart-breaking and humbling to see the strength of the human spirit in the face of death. What an amazing man. What an amazing story. Everyone should read this unforgettable book * But Books Are Better * I don't think I've ever felt happier about a love story than now. I really admired Lale from the very start of this novel, his positivity and his determination to survive shine through from the very beginning and it was wonderful to see how he tries to give Gita hope when she sees none. Heather Morris did a brilliant job writing Lale's personal story, and even though it was a very compelling testimony and there were still many sad moments to get through, the overruling feeling after I finished it is one of warmth and contentment for these two individuals. Lale and Gita's love story was a perfect counterweight for the predominant harshness of this novel. * The Belgian Reviewer * I absolutely loved this book and thought it was a powerful and emotional story of survival in such an awful time. Lale is such a wonderful, amazing man who uses his power as the tattooist to help others, he is truly an amazing man...This story is such an emotional one that I found myself really pacing through this book, I found it so difficult to put down. It was beautiful and inspiring and I hope others pick up this book when it is released next year. I highly recommend this * Life and Tea * This was such an emotional read, so many highs of Lale and Gita and then so many lows of friends lost along the way * Lozzi Book Reviews * I've always held a deep respect for books that remind us how terribly bad human nature can be if left unbridled, so it went without question that this book was a must-read. I very much enjoyed reading this, and I envy the author for the precious hours she was able to spend with such a forgiving, peaceful human being. It would be an honor to have met Lale Sokolov * Slightly Cracked Belle * 'Lale did what had to be done to survive, but he also boosted morale and saved inestimable lives by appropriating food and medical supplies from right under the noses of the SS Death's Head Units. He was naturally empathetic, well liked by his fellow prisoners and held out to the end with his dignity and integrity unblemished. More amazingly, perhaps, is that he developed a deep and enduring love for a women he had branded upon entering the camp.